Over the years, I've learned that NO piece of music is 'completely' original, and that everything can sound a little bit like something else. Things we've heard, even though it might have been years ago, can creep into a new tune. 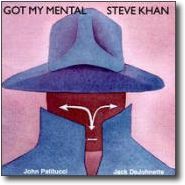 In hindsight, "Got My Mental"(a phrase or two) reminds me of the angular lines from an old blues, "Uptown Ed," composed by Mike Brecker which we recorded for the "BLUE MONTREUX"('78) LPs by the Arista All-Stars(which included Randy Brecker, Mike Mainieri, Warren Bernhardt, Eddie Gomez, and Steve Jordan). In our earliest years in New York City, I remember spending a lot of time in Mike's Chelsea loft and his showing me a book he kept which contained only blues heads. He told me that he went through periods where he would try to write 'a blues a day!' This seemed like a great idea to me, and at various times, I've done the same thing. As a teacher, I have advised my students to try this device too. 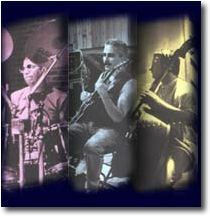 Generally speaking, I always have doubts about some of my own tunes, and this one almost didn't make it, but Jack & John really seemed to like it, so we recorded it. I will hope that these notes and insights add to your enjoyment of the tune, and that IT gets your "mental!"